In June of 2011, the first of many projects were awarded to contractors to begin construction on the infrastructure supporting the future F-35 B joint strike fighter base at the Marine Corps Airs Station (MCAS) Yuma, Arizona. The total project costs exceeded $350 million. 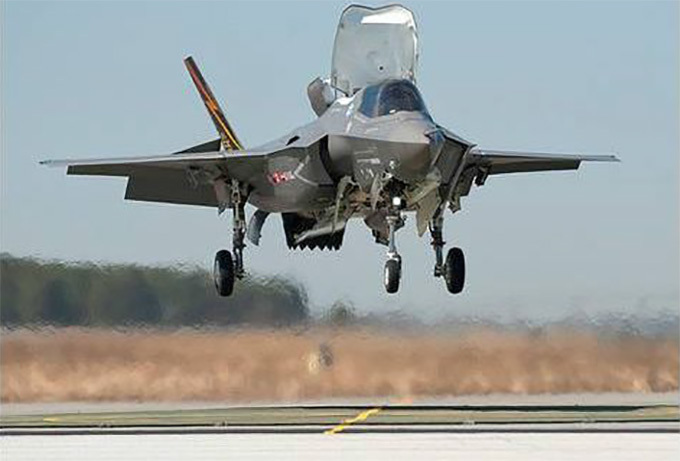 Constructed from an advanced, high temperature concrete (HTC), designed with a full lightweight expanded shale aggregate concrete mix, the HTC can withstand the heat from the F-35 B engines during takeoff and landings. Theses concrete mixes were designed and tested by NAVFAC-ESC Port Hueneme, CA. with Utelite Expanded Shale Aggregates and subsequently used on the project. 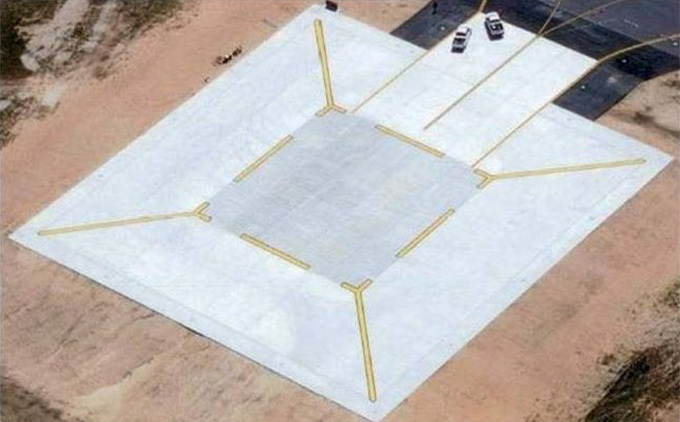 Simulations are conducted on a small stretch of the base’s two runways, where the HTC has been used in specially designed landing pads and aprons. The area is laid out to simulate landing and taking off from the deck of an aircraft carrier, using the F-35 B ‘s short take off and landing capabilities. An auxiliary landing field was built on the Barry M. Goldwater Range with completion on July 2013, simulating the deck of an amphibious assault ship, where pilots may also practice landings. The air station is home to the fist operational Marine Corps f-35 squadrons worldwide. Concrete Contractor: MRM Construction Services, Phoenix, AZ. New Generation Fighters will expose pavements to temperatures and pressures never before experienced. Concrete mixes & testing developed as well as performed at NAVFAC-ESC Port Hueneme, CA. High Temperature Concrete (HTC) designed with Es coarse and fine aggregates.